This age-old quote from the Upanishads has a very deep meaning. Food gives life. As you read this, thousands of people starve, living only on scraps of food. They do not know when the day will come when they can no longer find the scraps they rely on, the scraps that, for them, mean the difference between life and death. They long for good food that we take for granted. For people like them, Annadhanam is a blessing. Annadhanam refers to the practice of donating food to those in need. As mentioned previously, food gives life. So annadhanam is also considered pranadhanam (donation of life), thus it is known to be divine. Donors of annadhanam are said to directly attain salvation. Apart from these, however, there are countless other places where annadhanam is practiced regularly. In most of these places, it is noted that the kitchens are modern, automated, and run on alternate sources of energy to cause less pollution. Organic plantain leaves are used as plates. In the Dharmasthala, kitchen waste is used to make biogas, which in turn is used to light the fire, thus making the kitchen self-sufficient. Cleanliness of the food is maintained. In some places, not only food, but also milk, tea, and coffee is offered. Some of these places get up to 75,000 people per meal, but nobody leaves hungry. The food is checked for its quality, and only the best food is served to the people. In most places where annadhanam is practiced, despite being places of worship, people of all faiths are welcome, and vegetarian food is offered to ensure that no one is offended. Annadhanam is yet another reminder of how kind and generous Indians can be. This tradition is every Indian’s pride! Wonder why the Jam Saheb Digvijay Sinhji School of Warsaw in Poland is named so? Well, Digvijay Singh was once the king of Nawanagar in India. And the story goes way back to before World War 2, when Hitler attacked Poland in 1941. A ship of refugees sailed away from Poland containing 500 women and 200 children. They were told to go to whichever country that would accept them. They were refused entry in Seychelles, Turkmenistan, Iran, Karachi, and even in Bombay. Many had died on the voyage, and the rest did not have enough food and water to stay alive for long. Just when they had lost all hope, Digvijay Singh found out about them and, concerned, gave them permission to port in Nawanagar. “Don’t consider yourselves orphans. You are now Nawanagaris and I am Bapu, the father of all Nawanagaris, including yourselves,” he said. He gave them shelter and free education for the children. He visited them regularly and learned a lot about their culture. They went back to their homes after the war and Digvijay Singh gave them a personal sendoff at the railway station in tears. To this day, their descendants still come to Nawanagar to visit the Maharaja’s palace and remember their ancestors. Polish newspapers publish articles about him every year. Many roads in Poland are named after him. The school in Warsaw contains many photographs and paintings of him with the Polish refugees. It is very upsetting that most of us don’t even know who Digvijay Singhji is. His tolerance, his compassion, and his humanitarian nature, while remembered in Poland, has been forgotten in our own country. So let us celebrate this wonderful man and teach our children the values that he lived by. Ever heard of those famous Damascus swords (aka Wootz swords) that were all the rage in 17th century Europe? Well, you’ll be surprised to find that this steel was first manufactured in India! Wootz swords are made of wootz steel which is a slight variation of normal steel. It is stronger and more durable than the steel manufactured at the time. Experts say that the word ‘wootz’ was actually a misspelling of the word ‘wook’, which was derived from the Tamil word for steel, ‘urukku’. Another sign that India’s swords were famous for their quality was the Persian phrase “Jawab e Hind”, meaning “an Indian answer”, referring to a cut with an Indian sword. These swords originated in the kingdom of the Chera Dynasty. The reason for the swords being known as Damascus swords was the export of the swords from India to Damascus, the capital of Syria. From here, they were sold worldwide, so they came to be known as Damascus or Wootz swords. But you might ask, what was so great about these swords? Why were they so different from the swords of Europe? During a face-off between Salaudin and Richard the Great, Salaudin held out his sword, allowing a silk scarf to fall on it. Without any force applied by him, the scarf was cut into two. Richard the Great accepted defeat and stated that a sword that could do such a thing was wonderful indeed. Salaudin’s sword was, in fact, made out of Wootz steel. And yet another famous example of a Wootz sword is the famous sword of Tipu Sultan, which he lost in a battle. It was famous for easily beheading a person, which could not be done by a normal steel sword. These swords were known for being the best in the world, just like the place they came from! Jai Hind! So proud to be an Indian! Sometimes, something happens to you and it changes your whole life, for better or sometimes for worse. You can never be the same person you used to be. You might’ve never expected it to happen to you. But it does, and you can’t help it. This amazing woman has inspired us to get back up on your feet, even if you only have one. A national volleyball player, Arunima Sinha was from a middle-class family in Uttar Pradesh. In 2011, when she was 23, a gang of robbers cornered her on a train and demanded her gold necklace and purse, threatening to push her off the train. When she resisted, they pushed her off the moving train. Another train on a parallel track came crashing into her and ran over her leg. Arunima was rushed to the hospital and the doctors were forced to amputate her leg to save her life. She was devastated that she could no longer play volleyball. The Indian Sports Ministry offered her compensation. She was given a prosthetic leg free of cost from a private Delhi-based company. Also, the Allahabad High Court ordered the Indian Railways to pay a compensation of 5 lakh rupees ($7800) to her. Inspired by cricketer Yuvraj Singh, who’d successfully battled cancer, Arunima resolved to climb Mount Everest. After signing up for training at a TSAF camp in 2012, she worked long and hard. After climbing many smaller peaks, Arunima was eventually ready for the final climb. It took her 52 days, but she made it to the peak. Arunima dedicated the victory to Swami Vivekananda, her inspiration. She’s now dedicated to social welfare, and donates all the money she gets from awards to charity. She wrote the book “Born Again on the Mountain,” which was launched by Prime Minister Narendra Modi in Dec 2014. She received the Padma Shri in 2015. She also received the Tenzing Norgay Highest Mountaineering Award. With hard work and determination, she achieved the impossible and made history. She is an inspiration to the world and a proud Indian’s glory. Keep making us proud, Arunima! Hey, guys! Today’s the day that most of us hoist the flag, sing the national anthem, etc. But over the years, I feel like Republic Day has become so commercialized (like that “Flat 20% Off Republic Day Sale” we see all over the place) that we no longer feel the strong patriotism that should be associated with today. So I decided to write a quick post about India’s first Republic Day. I don’t want to bore you with the contribution of freedom fighters and stuff, because you probably already know that. You probably also know that Republic Day was the day India became a democratic republic, but you probably haven’t thought about the enormous progress we’ve made since then. 70 years ago today, our country was in such a desperate condition that the average Indian was expected to live only 32 years. 92% of women in India were illiterate. From there, we’ve come a long way! We now have one of the most powerful armies in the world, we are considered very likely to become a superpower in the next couple of years, and so on. We still have a long way to go, but we’re getting there. So today, let’s be a bit more patriotic towards our beautiful country and celebrate the day it all started! 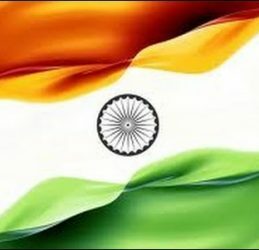 Happy Republic Day!!!! Rural India has many problems that most of us don’t even know about. 90% of the women in India cannot afford sanitary pads to use during their period. They use everything from an old rag to a leaf. This was a problem that needed to be solved immediately. But this is not really something women like to talk about, so no one knew about their problems, much less how to solve them. Mr. Muruganantham came up with an interesting solution to this problem. But before we get to his idea, we must listen to his story. When his newly-wedded wife, Shanthi, was hiding a dirty rag from him, he stopped her and asked what she was going to do with it, and she replied that she was going to use it as a sanitary napkin. He was shocked and he says that he wouldn’t have even used it to clean his two-wheeler. He asked why not use a normal sanitary pad, and she replied that it would be too expensive and they would have to cut down on their milk. Surprised, he decided to impress her by buying her a sanitary pad. The shopkeeper had carefully wrapped the napkin in newspaper and packed it up for him so that no one who saw it would find out what it was. And he says that, out of curiosity, he opened the napkin and touched it for the first time. He explains how he began to wonder why something that seemed to be made out of just cotton was that expensive. He had an idea. He thought of making his own sanitary napkin. So he experimented with it and tested it on his wife and sisters. However, they eventually stopped supporting his research. He approached medical college students and gave them napkins for free on the condition that they return them after use for him to study. But they slowly began to feel uncomfortable with it, and stopped taking them from him. So he now had no one to try it on, and he still hadn’t perfected it. He ended up trying it on himself. He filled a football bladder with animal blood and pumped it frequently. Meanwhile, he had to face many other such problems, such as a divorce notice from his wife. Also, society treated him as an outcast and called him insane. But he still didn’t give up. He finally understood what was wrong with his sanitary napkins. Napkins made by retail giants consisted of cellulose, which allowed them to remain strong and durable. Machines to produce this cellulose cost millions of dollars. So now he had another obstacle in his way. How would he make napkins without this machine? He decided to make a simpler version of the same machine. His machine is approximately 500 times cheaper than machines used by sanitary pad companies. His invention is now sold to many all-women self-help groups in India and is available in 106 countries. Thanks to him, many rural women who had never before thought about sanitary napkins can now use them. Mr. Muruganantham is in the list of 100 most influential people in the world by TIME magazine and has also been awarded the “Padma Shri”. A documentary has been made about him by Amit Virmani called “Menstrual Man”. There is also a biopic about him to be released in 2018 called “Padman” starring Akshay Kumar. Mr. Muruganantham’s goal is to make India a 100% sanitary napkin-using country in his lifetime. Sir, all us proud Indians wish you the best of luck and hope that you achieve your goal. This is the incredible story of Lijjat Papad . We must all know the brand Lijjat Papad. Lijjat, in Gujarati, means tasty. The “Lijjat Papad” brand is known for having that “touch of home” we long for. Their delicious, crispy papad is enough to satisfy any Indian craving. But what is behind this “touch of home” they manage to create in every single piece of papad they sell? The answer is hundreds of expert cooks behind the scene. That’s right! Lijjat Papad is run by a group of women who have been cooking for their families for many decades. The secret to their tasty papad is their years of experience and experimentation in cooking. Behind their success is also an inspirational story. Lijjat Papad was started by a group of seven Gujarati women with a desire to make enough money to run their household. They decided to start a company using the skill that they were all experts on: cooking. So they borrowed 80 rupees from a man named Chhaganlal Parekh to buy the necessary ingredients, and started by making four packets of papad. They sold it to a known vendor in Bhuleshwar. Slowly their business grew, and Mr. Parekh became their mentor. More women joined them. By the end of the third year, there were more than 300 women that were part of the Lijjat Papad team. They opened different branches, and soon started selling soap, agarbattis(incense sticks), etc. They have won many awards, such as the “Businesswoman of the Year” award at the Economic Times Awards, as well as many others. In 2002, Lijjat Papad had a turnover of Rs 300 crore and exports worth Rs 10 crore. We congratulate these women for making all of us proud and for breaking social and economic barriers in achieving their goals despite all the criticism they must’ve faced. These women have brought pride to our country, and taught people all over the nation that, with hard work and dedication, anyone can achieve whatever they want.